If you are following a ketogenic diet, then this Printable Keto Diet Meal Plan is going to be a lifesaver. It can be so hard to figure out what to have for your meals each week, especially with special dietary restrictions. 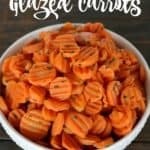 This is a great place to begin making your own keto friendly menu that is easy to pull together and will be guaranteed to please your family. First and foremost, let's look at what a keto diet actually is. 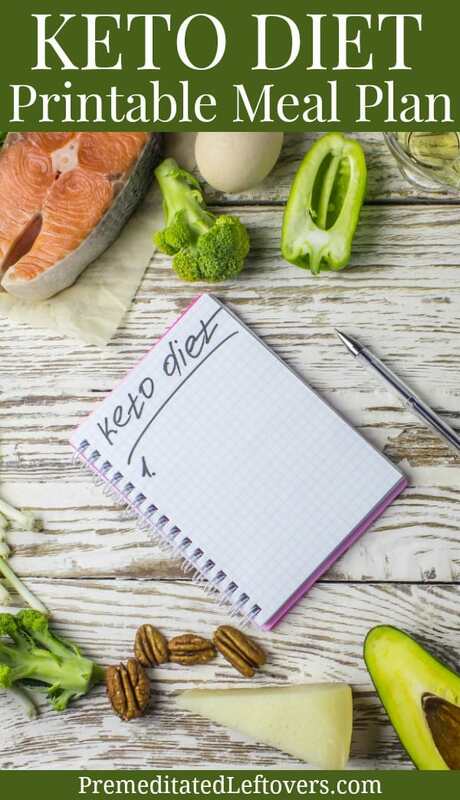 We have great tips on how to get started on a ketogenic diet, but you may want a fast refresher. A keto diet is simply one that focuses on eating more protein and fats while strictly limiting your carbohydrate intake. As you use our printable for your meals, you'll see most of these recipes are highly focused on protein with moderate to high fats. 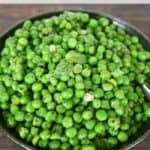 What you won't find are potatoes, rice, beans, and other starchy foods. When you are meal planning in any form, you can always use my Prep Ahead Meals from Scratch for tips on how to cook proteins in batches. 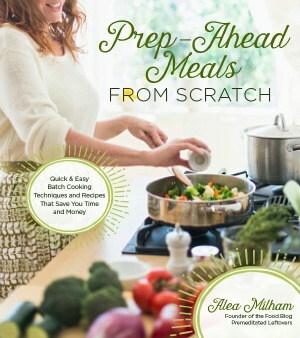 This is so helpful for the keto diet and will save not only time but ultimately money. A meal plan like this one gives you a basic guideline of what you should have to eat every day. 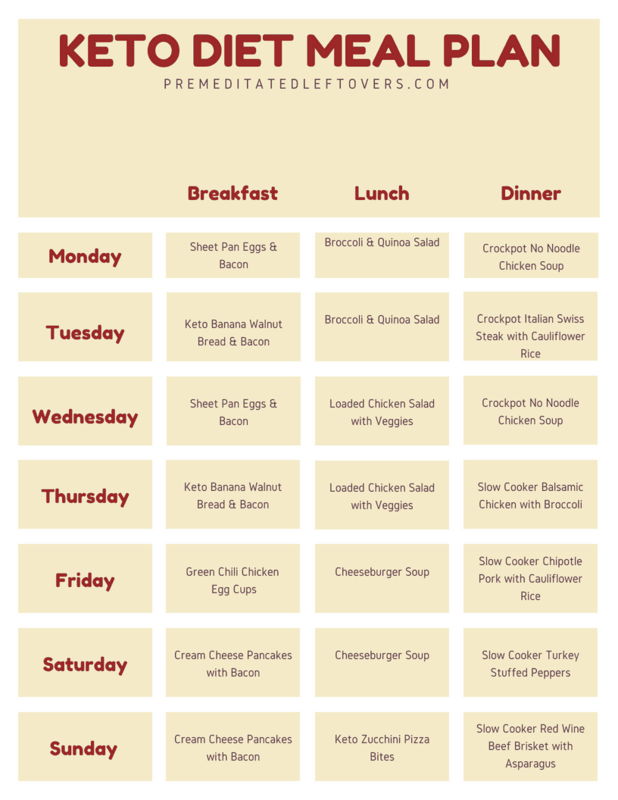 Print the meal plan, then compile your grocery list for the week by making note of what you already have on hand in your pantry, and what is needed. 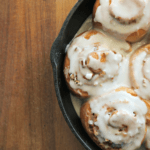 For breakfast, we are including some of our favorite recipes from our keto breakfast recipes list. Some of these will create enough for multiple days of breakfasts, so we will only be sharing a few recipes. Additionally, I am assuming this meal plan will be for your whole family and not just one person. In our house, lunch is often leftovers. However, when following the ketogenic diet, you may need something different. 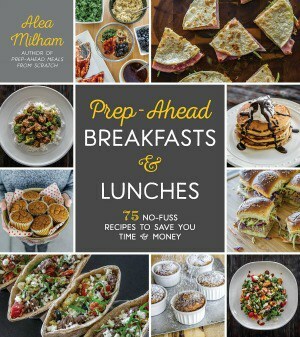 On this printable keto diet meal plan, I am including some lunch ideas from our list of keto lunch recipes. The goal is to make this a convenient lunch option for you. I used our list of keto slow cooker recipes and keto pressure cooker recipes to build the evening meal portion of our printable keto diet meal plan. You'll love how easy these meals are to make with both of these handy kitchen tools. I use the 6-quart Crock-pot Programmable Cook and Carry option most often, and the popular Instant Pot 6-quart DUO60 is a great choice in an electric pressure cooker. Ideally, you won't be snacking while on the keto diet plan. However, it is common to want something on hand. Choose from our list of keto diet snacks and keto diet dessert recipes to add to your printable keto diet meal plan. You can easily add 1-2 items to the list and create a base of treats that keep you satisfied while not going out of ketosis. Below, you will find our printable keto diet meal plan that includes a simple listing of each day and the meals you will enjoy. 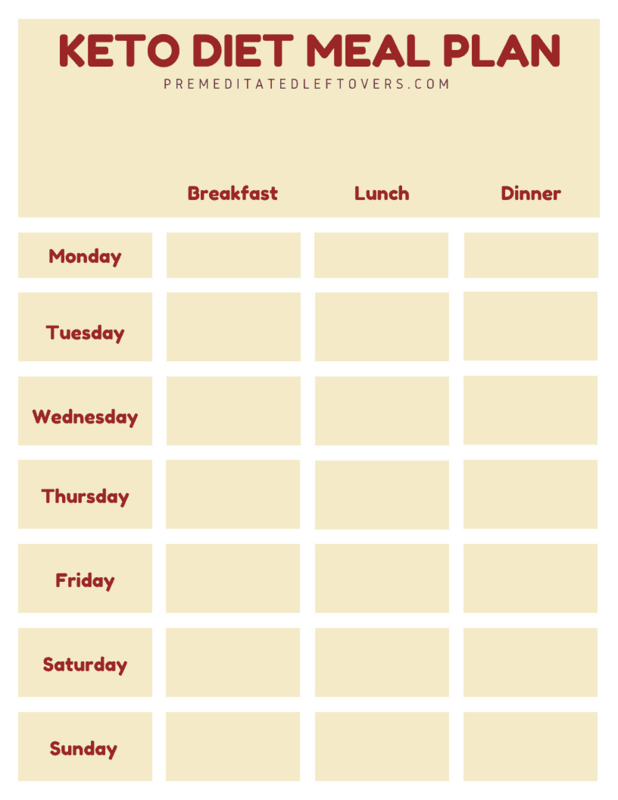 With both a ready-made meal plan and a blank page for you to create your own meal plan, you'll love this printable. Use it to help stay on track with your ketogenic diet plan! You can print out the keto diet meal plans here. This printable keto menu plan includes the keto-friendly recipes for breakfast, lunch, and dinner mentioned above. Print it here. This menu plan is blank allowing you to come up with your own meal plan as you discover more keto-friendly recipes that you enjoy. Print it here.